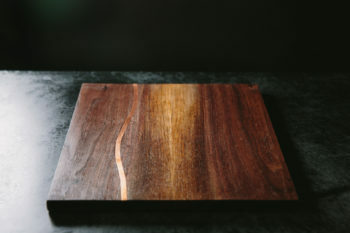 Conductivity Board – Wm. 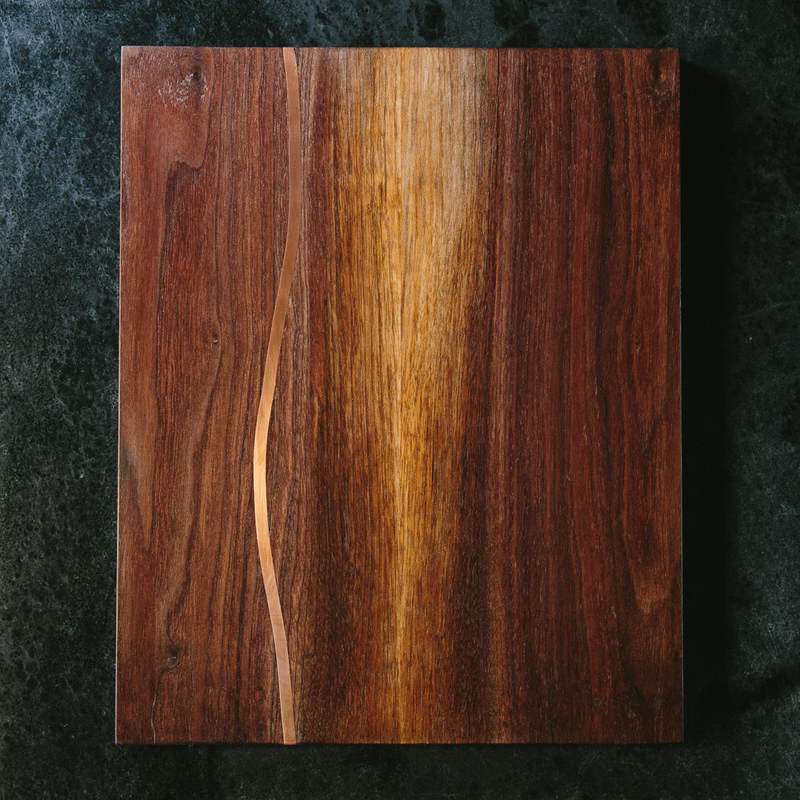 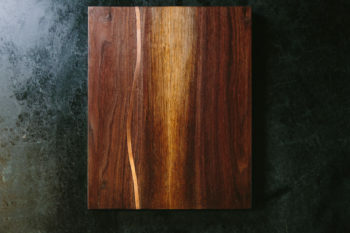 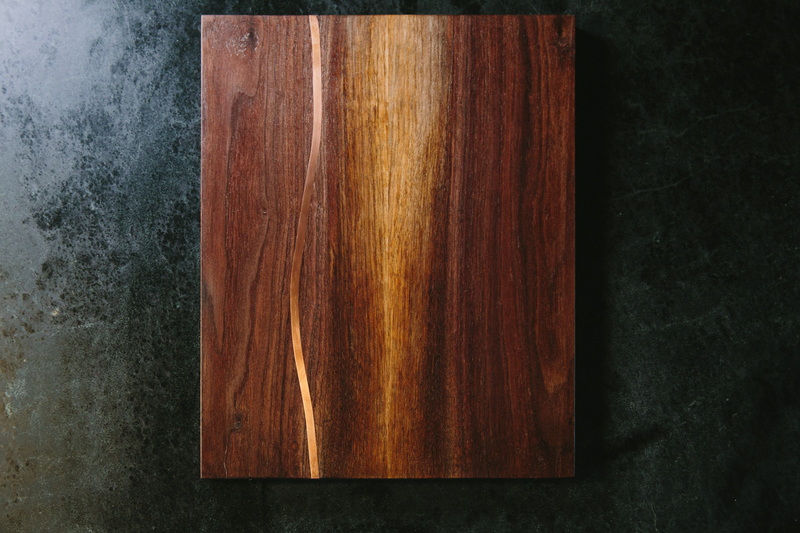 Walker Co.
A bookmatched Black Walnut serving board with a Copper inlay. 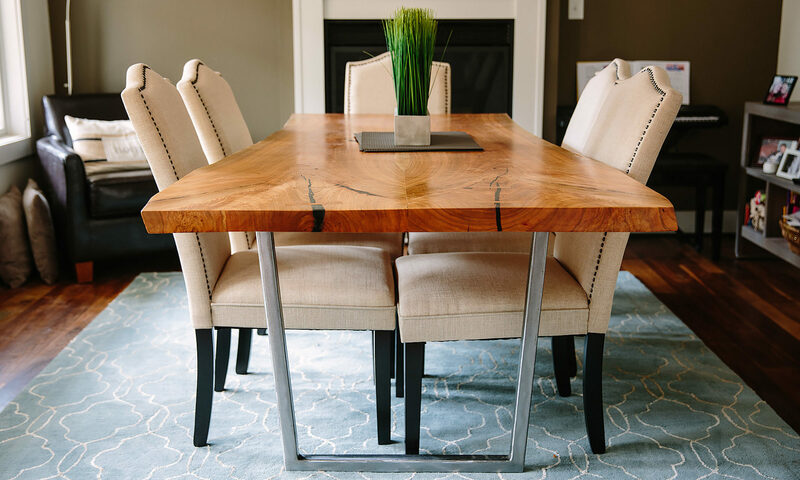 The board features sapwood through the middle of the board and a meandering inlay of copper. 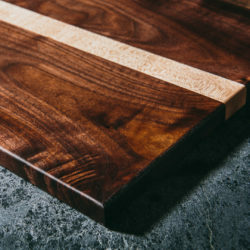 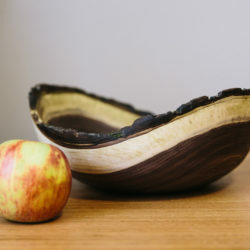 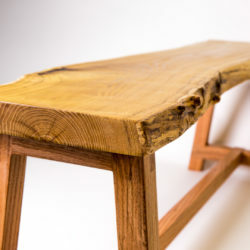 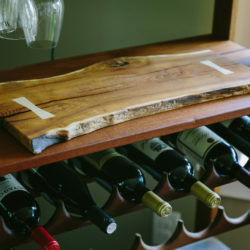 Use the side without inlay for cutting/chopping and flip it over to use for serving.